When I start a marathon training cycle the first few weeks as the mileage starts to increase and quality workouts start to come with a little bit greater frequency and intensity level, I find myself thinking mostly about the actual training. How many weeks until my long run reaches 18 miles? The distance where I start to consider my weekly “long run” as actually “long”. Until that point, I can usually muster up 14-15-16 miles without too much trouble. But when I get to 18 it starts to feel real, as I know 20, 21 and 22 are not too far down the road. After a few runs crack 20 miles my mind starts to wander a bit further forward and the first thoughts of race day start to form. With 8 weeks to go, which is where we find ourselves right now, I look back on the first few weeks of training and remember how much optimism I had for the upcoming 20 weeks. I start to think more about “racing” and less about “training”. It is a subtle switch, but one that seems to happen naturally. Knowing that the final 2 weeks of marathon training is dedicated to tapering for the race, and even the last long run three weeks out will be dialed back to cover only 16 miles – serving as a dress rehearsal for race day, more than a training run. There really isn’t a lot of time left to put the finishing touches on the training cycle. 21 miles this past weekend, a step back week, Then we reach our peak training volume capping things at 75 miles per week with a couple more 21-22 milers. Maybe 23 if I feel frisky, after which we’ll start to rein it all back in. By this time I have my race shoes in the closet, just waiting to break them in on that final 16 miler, wearing the clothes I hope to race in that day if the weather goes as planned. I will have reviewed the race course over, over and over. I can visualize the hills, the water stops, the turns even down to the smallest detail being what side of the start area I want to line up on depending on if the first turn on the course is a left or a right. The one thing I try not to think about however is how much it is going to hurt. Because in every marathon I have ever run, fast or slow, PR or not, Boston time or no Boston time – they have all hurt. It is not a matter of if. It is simply a matter of when. But the marathon is a different animal. The first hints of pain start to arrive around mile 17 or 18. Up until that point if things are going well for me, I have been able to run free and strong. Form feels good, my splits are solid and if I haven’t done anything stupid to this point – I am right where I need to be. But then it begins. A tightness on the outside of my hips is usually the first sign. Then I will start to feel it in my quadriceps, hamstrings and knees. My feet are usually the next source of pain until it simply hurts all over. The feeling of strength, power and invincibility that was emanating from legs that feel like springs a little more than 2 hours earlier is now replaced by a mixture of pain, exhaustion and questions about how much you have left and how much you can afford to meter out so that at the end of the race, you simply are out of gas. Unlike the other race distances, you may have more than 7 miles to go before you finish. 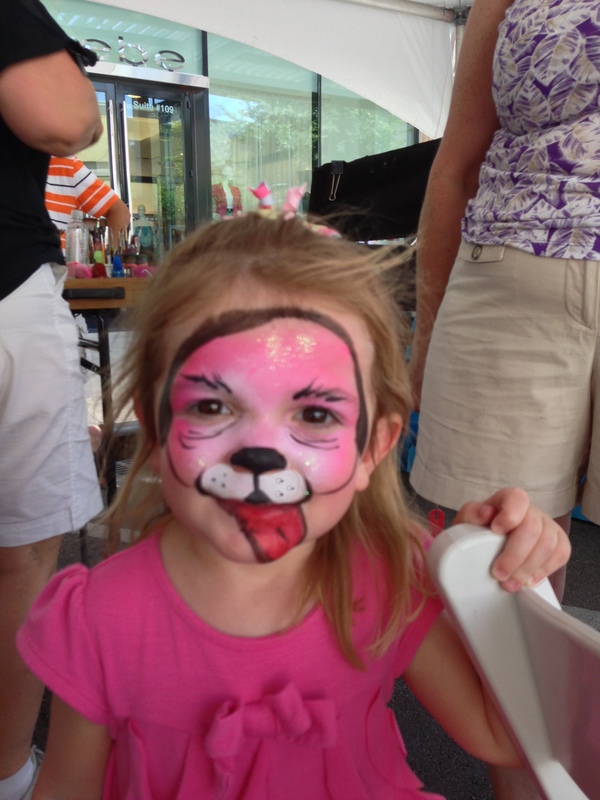 Longer than many recreational runnners will cover in a single run …. ever. But to the marathoner, this is when the race finally begins. Everything else is just prelude. “The Race always hurts. Expect it to hurt. You don’t train so that it doesn’t hurt. You train so you can tolerate it”. To me, that sums up what is beautiful about the marathon. In the coming weeks I look forward to the remaining tests. The tough intervals, the long tempo runs with the training group and my final three 20+ mile long runs. No matter how much work I put in, it will never been enough to push the pain completely to the side on race day. All it will do is perhaps delay it long enough so that I will have just enough tolerance for that pain to get me all the way to the finish line. In a lot of ways, the marathon is a 25 mile race, Because once you are into that final full mile – fast or slow, it hurts just the same. It becomes a question of how smart a race you ran over the opening half of the course, as one minute too fast in the first half will cost you two minutes on the back half. 1:28:30 – 1:31:00. Those are the two half-marathons we are hoping to run on September 14th. My last three half-marthons have been consecutive PR’s in 1:24:06, 1:23:55, 1:23:31. The question is can I put two perfect half’s together on the same day? Can I be disciplined to run the first 20 miles of the race with my head, the final 6.2 miles with my heart? In two months we’ll find out. And if I had any doubt whether or not it was going to be different this time, Sunday’s 21 mile run with 4:00 minute long pickups over the last 7 miles at paces of 6:36, 6:41, 6:41, 6:36, 6:46 reminded me just how hard things are going to get late in the race on September 14th. No matter what happens from here on out with our training – there is one certainty. If I am serious about wanting to break 3 hours on race day, I’m going to have to be willing to hurt to do it. 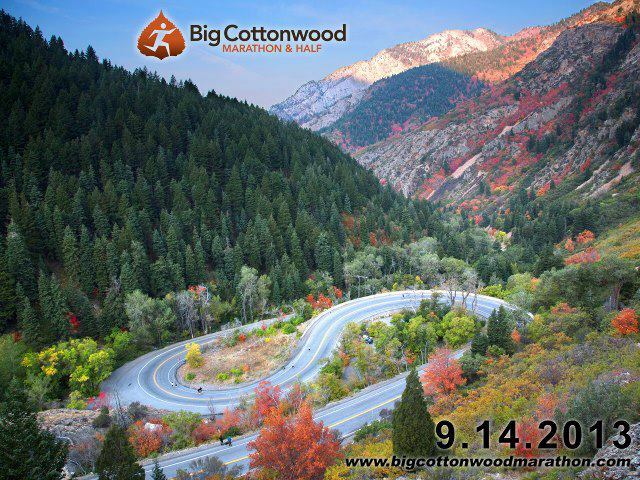 75 days is all that separates us from the starting line – and hopefully the finisher’s chute – at Big Cottonwood on September 14th. Sunday’s 20-mile long run marked our second consecutive 68.30 mile week which included a tough track workout on Wednesday and some up-tempo work on Saturday. We are in an enviable position at this stage of the game with not a single hint of soreness or a physical ailment that we are monitoring, although they can come up at the most inopportune times during Marathon Training. 1. Give the muscles a chance to absorb the increased training and adapt to the new, higher level of workload. 2. Decrease the risk of injury. There are a lot of different strategies that runners employ preparing for a marathon. But a universal truth for all athletes are the fact that to reap the maximum benefits from tough training, you have to give your body a chance to recover and adapt, that is how muscles grow and develop. You cannot simply continuously tear them down without giving them an opportunity to build back up. But there is another reason that those step-back weeks are so important and that is the mental break that they provide. Training for a marathon throughout the summer in Texas is no easy task. There are not a lot of “perfect” days out there right now to be found where running is an absolute joy. It is hot in the morning before daybreak and humidity is high. The only cooling effect to be found right now comes in the form of wind, which is not altogether helpful to runners either. It dehydrates you a bit faster and of course provides added resistance if you are running into a headwind – which is the only type of wind that feels “cooling” when you are out there. After back to back 6-day run weeks with 20-mile long runs to cap them off, I was ready for a day off from running today – and did not feel one bit guilty about taking it. It is a day to sleep in a bit later (6:40 a.m.!) and take good care of myself. Eat right, not have to rush around in the morning and let the training marinade for 24 hours before an easy 8 mile run on Tuesday and a workout with the training team on Wednesday. For the month of July and August we will be moving from the track to Zilker Park downtown on Wednesdays for our intervals and speed work. I will only return to the track when Coach requires me to have a specific and measured test during a key workout. Then we will get back to the track after Labor Day as a group – or in my case after I recover from Big Cottonwood. After our maintenance week we will jump right back in and have a few 70-73 mile weeks ahead with our long runs creeping up to 21 and 22 miles before the taper. Our mid-week long run that has been sitting around 10-11 miles will gradually climb up to 13-14 to top off our endurance work. 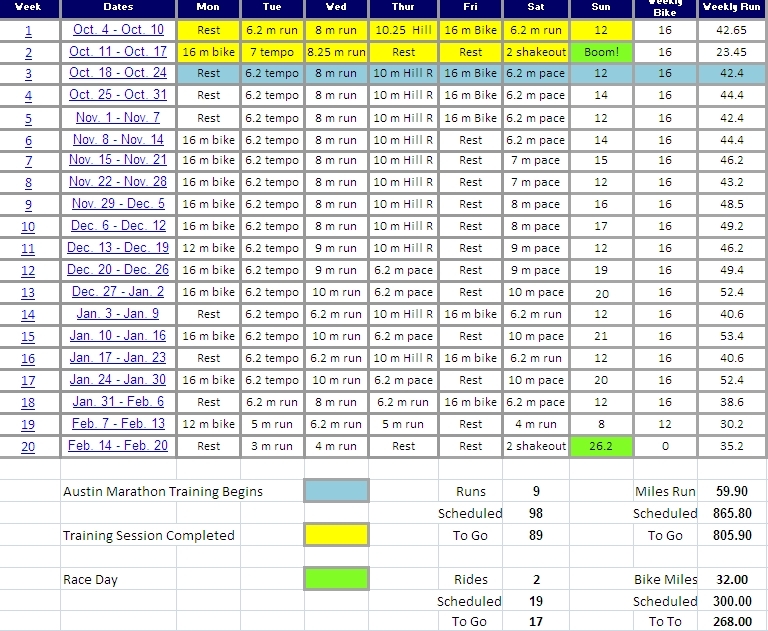 We are now 9 weeks into our 20-week training plan, which contains 18 weeks of “training” and 2-weeks of a taper. So in a sense we are now 50% of the way through our preparation, where the final two weeks of our taper – which is critical to marathon success – shifts from a physical test (training) to a mental one (rest/nutrition) where your mind starts to really play tricks on you and being strong mentally becomes the primary focus. I feel like we could go out this weekend and run a solid marathon. Something in the 3:10 range. Sometimes it is hard to get your head around the fact that 9 more weeks of training, 575 miles including 6 more runs of more than 20 miles will move that needle only :20 seconds per mile faster on race day. But breaking 3:10 on September 14th while a great accomplishment is not what we are working for. If that was the level of excellence we were in search of, we could just rest on our November 6, 2011 race in NYC and enjoy our 3:08:09. Those 8 minutes and 10 seconds are what we are working for right now. Anything less just isn’t going to cut it from an expectations standpoint. Racing is a funny deal. We may do everything right between now and then and still miss our target. It happens. In the marathon it happens far more often than at shorter distances as weather, nutrition, fitness and pacing errors are all magnified over 26 miles, 385 yards. That is also why when it all comes together, the final 1.2 miles of that race are some of the greatest in all of road racing. 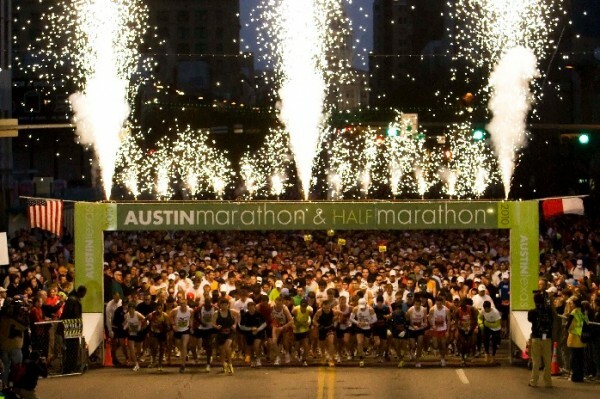 11 weeks from now we are going to find out a few new things about ourselves like only the marathon can teach us. But right now, I can honestly say, things to this point really could not be going too much better. I’m still waiting for that flat workout where the body and the mind do battle. One wanting to go faster, the other not being with the program. It happens to everyone at some point, and it serves as a great reminder that none of this is easy.